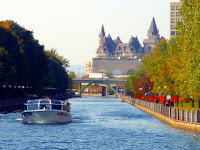 With area of 9.970.610 km2 and around 30 millions people, Canada climate is divided into 4 seasons: the temperature is changeable from -25 to 35 degrees Celsius in summer. However, climate is always dry and comfortable. Two main languages in Canada are English and French. Canada is a country of various cultures with ethnic policy of openness and the peoples of peaceful coexistence. Canadians are very hospitable, too. According to the United Nations, Canada is ranked the best country of social development level, higher living standard in the low cost of living, highly developed science and technology, safe environment. Education in Canada is the priority of Government and people so schools have good quality. The per capita cost of education is higher to compare with G7 countries. Degrees in Canada are internationally recognized so graduates are successful on their career path. Candidates can choose courses: Economics, IT, Environment, Medicine, Law….. Language school: KIOSK School of English, Southern Ontario College (Hamilton), Cambridge, International College (Toronto), Dorset (Vancouver)…………. High school: Vancouver School Board, Toronto School Board………. Diploma: Imperial College of Toronto, Eynesbury Institute of Business and Technology, Bon International College, Queen City Collegiate, Seneca College……..
Unversity degree: Lakehead University, Toronto University, York University, University of Alberta, University of Laval, University of Manitoba…..